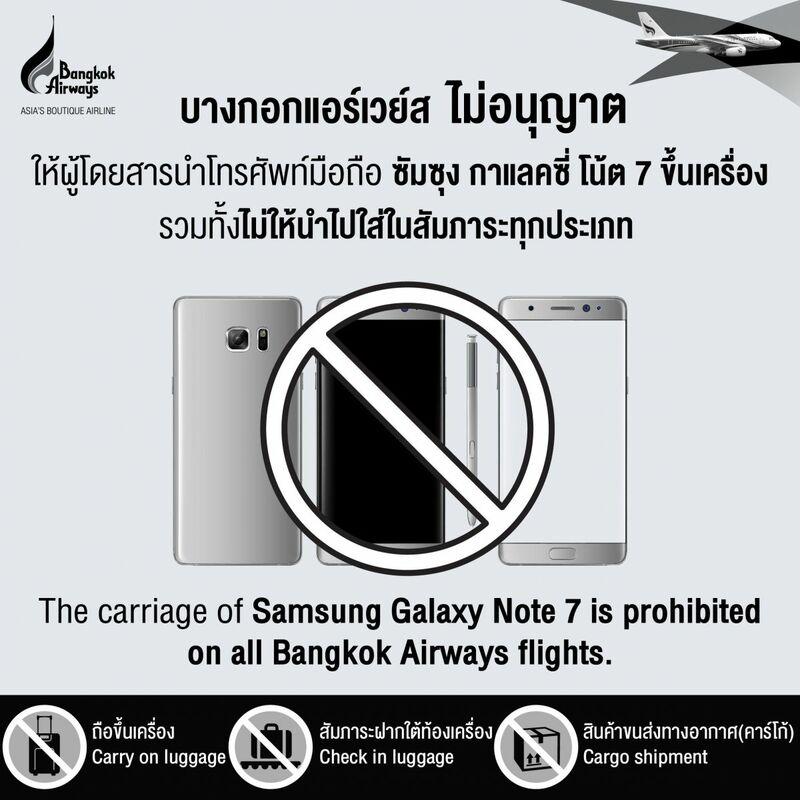 Bangkok / 21 October 2016 – Bangkok Airways Public Company Limited announces that the carriage of Samsung Galaxy Note 7 is prohibited on all Bangkok Airways flights. In accordance with the recent announcement from the U.S. Department of Transport (DOT), passengers of Bangkok Airways are not allowed to carry Samsung Galaxy Note 7 smartphones on-board, nor stow the devices in checked baggagge. Prohibition also applies to all Bangkok Airways cargo flights.